It is rare these days to have these kinds of negotiations to be taking place. Many of the hostages have been released, which is a very good sign. But hijacking planes is no small matter, regardless of how rare it has become. It instills immense fear within passengers and their families and reminds the world of terrorist hijackings such as those that happened on Sept 11, 2001. Fortunately, that horrific incident is almost 15 years behind us. According to NBC, Mustafa was the first hijacker that EgyptAir planes have been confronted with in decades. In 1985, terrorists hijacked an Athens-to-Cairo flight and redirected it to Malta. When Egyptian troops intervened, they threw grenades, killing 60 out of 90 passengers. Meanwhile, CNN has claimed that EgyptAir, formerly known as Misr Airwork, has actually witnessed eight hijackings in its history. The most recent midair takeover happened in 2009; however, the 1985 incident was the most devastating. 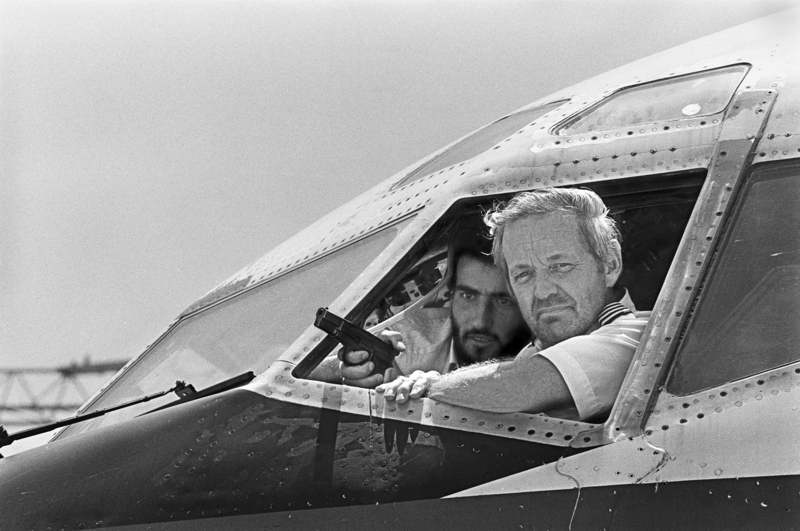 That was the first major terrorist hijacking attempt that captured the media’s attention. They were not intent on killing people. It was simply a way to get publicity. The same motivation applies to Mustafa, the EgyptAir hijacker. As far as authorities can tell, he simply wanted to get the attention of his wife. However, people are rarely able to get away with such behavior. The hijacking itself, for example, raised serious questions about EgyptAir's security system, which has come under fire in the past. In today's world, hijacking a plane should be much more difficult. As hijackings have overtaken news media, passengers and flight crew members have become increasingly prepared to handle such scenarios, making it difficult to successfully carry out the act. Today, if a passenger so much as sees suspicious behavior or falsely cries out, they will have effectively wreaked havoc, as well as a speedy response. The Aviation Safety Network's database shows that in the year 2000 alone, about 26 planes were hijacked worldwide. Then Sept. 11, 2001 happened, raising security concerns to a max. Over the period of time between 2006 and 2014, fewer than 30 hijackings occurred. Since 2010, no more than three have happened in a year's time. Unlike using bombs, seizing a plan requires the hijacker to plan its landing and the negotiations that will follow. Though bombs have become the greatest aviation security concern in recent years, they still happen less frequently than hijackings. Even so, they remain a threat that is becoming better-known to national security as the days pass.